Let’s face it, installing hardwood floors in your home is not cheap, and it is important to do all you can to take proper care of your hardwood floors in order to ensure you receive the most out of your investment. Unfortunately, taking care of hardwood floors is not easy and takes the proper planning to do so safely. With that said, as long as the proper plan for caring for your hardwood floors is in place, then you should have no problem maintaining beautiful, clean hardwood floors for years, if not decades. In this guide to how to properly care for your hardwood floors, you will learn exactly how to keep your floors clean, prevent damage to your hardwood floors and how to keep your floors from splitting, cracking and raising due to moisture exposure. First and foremost, it is important to have a regular cleaning routine to ensure dust does not accumulate and the floors stay shiny and well protected at all times. While certain cleaning routines obviously are not required every day, it is good to sweep the floor at the end of each day in order to prevent too much dust from accumulating and staining the floors. Also, it is encouraged that you lightly mop your floors once a month with a damp mop. It is crucial, however, to avoid using too much water or cleaning solution as doing so can cause moisture damage. Instead, use the least amount of liquid possible to mop your floors. Lastly, it is very helpful to polish your floors two to four times each year. Not only does doing so help the floors look clean and glossy, but it also helps to protect them from damage. 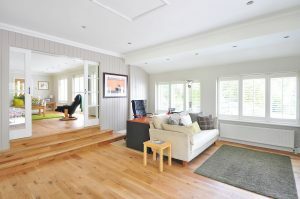 While a fresh coat of polish can help prevent floor damage, there are other measures you can take to prevent hardwood floors from getting damaged, such as using a rug in high activity areas and placing protective caps on the legs of furniture. If you have pets, be sure to keep their nails trimmed to prevent scrapes to the hardwood floor and sweep frequently. Moreover, try and enforce a no shoe policy and avoid walking on the floors in high heels. By taking the necessary precautions, you can ensure your floors are protected at all times. Too much moisture can slowly and silently destroy your hardwood floors, which is why it is crucial to prevent moisture damage from occurring. The best way to prevent moisture damage is to control the temperature of the room. 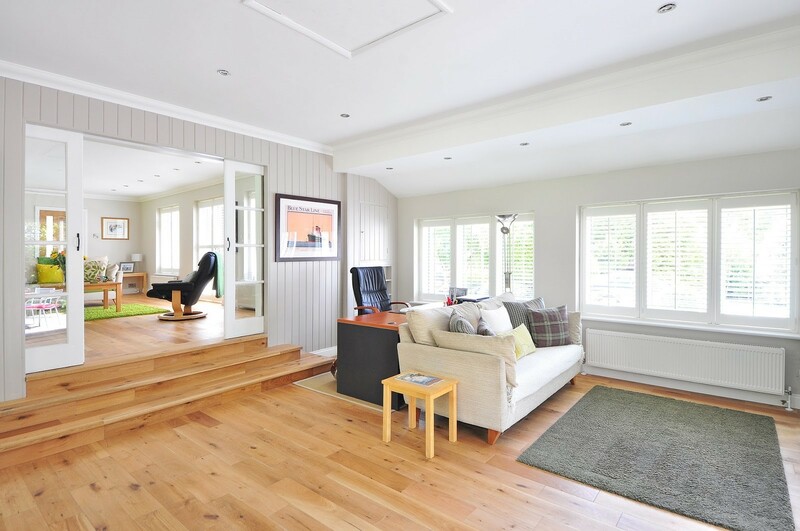 Oftentimes moisture damage to hardwood floors is caused by the temperature constantly being too hot or too cold. Be sure to keep the room between 60 and 80 degrees at all times to be safe. Also, be sure to clean up spills as soon as they happen as liquid can seep into the hardwood and cause moisture damage. Lastly, take precaution and care for your hardwood floors, but also remember to enjoy them and appreciate your hard work at all times.